This article is about Ravi and Vishaal’s venture. Their mission, their vision, was to create a business to help people find what they need and feel good about their purchases. It’s awful when you feel that you have to buy something that doesn’t align with your ethics because the alternatives that are available, don’t meet your needs! They created Vyom London to ensure that those who don’t want to wear non-vegan shoes have access to shoes that are made well, that are available in a range of styles and that they’re made with good quality materials. They source their premium graded faux-leather from Italy, but the shoes are made in Northamptonshire because they want to support the British economy. 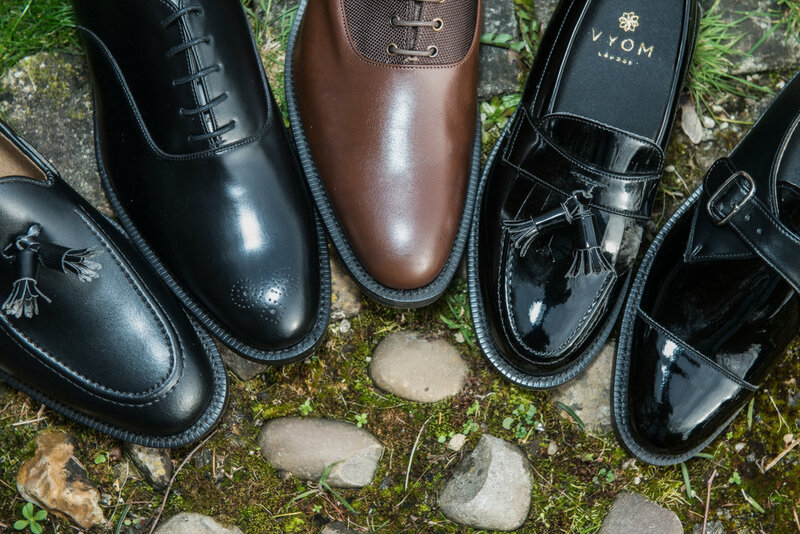 This interview style article will give you more insight into Vyom Shoes. What does Vyom London specialise in selling? 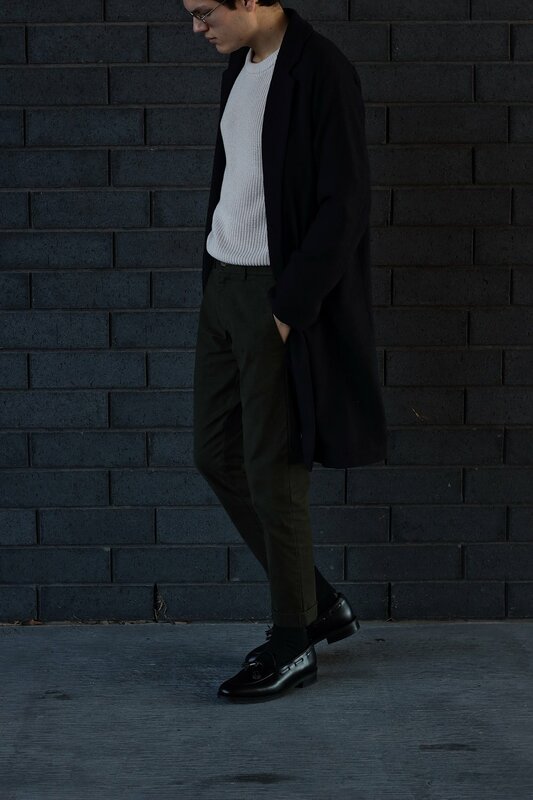 At Vyom London we specialise in formal vegan footwear for men. However, in the future, we are planning to branch out and include vegan accessories. Where is Vyom London based? We currently sell our products online. In addition to this, each year, we have stalls at different vegan events. This enables us to make a personal connection with our clientele. We ship our products internationally, so regardless of where you live, we can ‘bring’ a pair of Vyoms to your doorstep! What inspired you to create a business that solely focuses on shoes? There are lots of people who focus on vegan food..don't get us wrong we love our food, but at the same time we love our fashion and want to look our best. Shoes to us, are like the icing on a cake. The shoes can ‘make or break’ a suit, dress, or style that an individual is going for. So we wanted to create shoes with that little twist that look good and will make the person wearing them, feel confident and good about themselves. More importantly, the shoes shouldn’t have taken a life to be created. We wanted to provide people with an alternate option in an area of fashion where people will always need to shop in - shoes! How easy is it for you to source vegan and cruelty-free materials for your products? 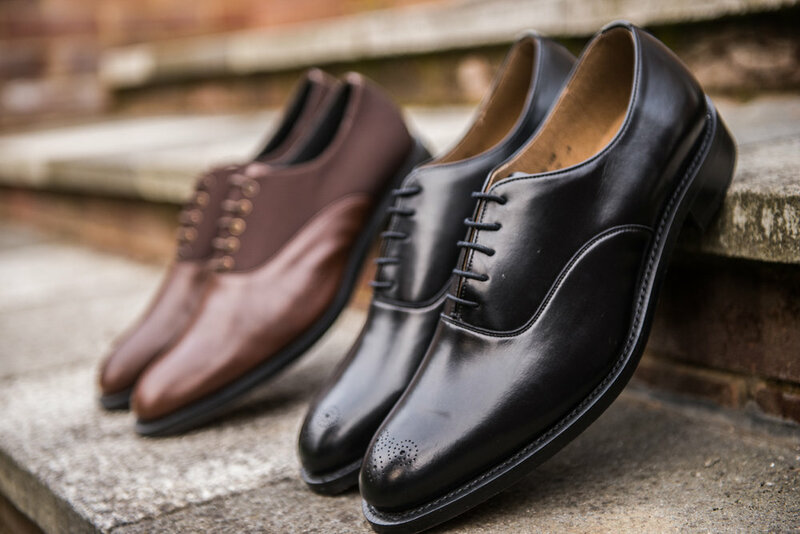 We source our premium graded faux-leather from Italy, however we have always been keen on supporting our home grown British economy; so our shoes are made in the small town of Northamptonshire. The craftsmen and women in this artisan factory have been making shoes for generations and they have the tradition, experience and passion to deliver a world class product. Do these materials affect the outcome in comparison with non-vegan shoes? Our premium graded faux-leather is sourced from Polyurethane (PU) instead of PVC leatherette which contains chlorine, a toxic chemical which produces dioxin during the manufacturing process. It can be very harmful to the environment. Furthermore, in regards to its material properties, PU is very comfortable and highly durable in all weather conditions. Therefore, we feel that the materials we use are better than those used in non-vegan shoes. Better for the environment, the animals, the people working with the materials and our customers. What's the most popular design/product? Our most popular design in the ladies range has been the Monkstraps. 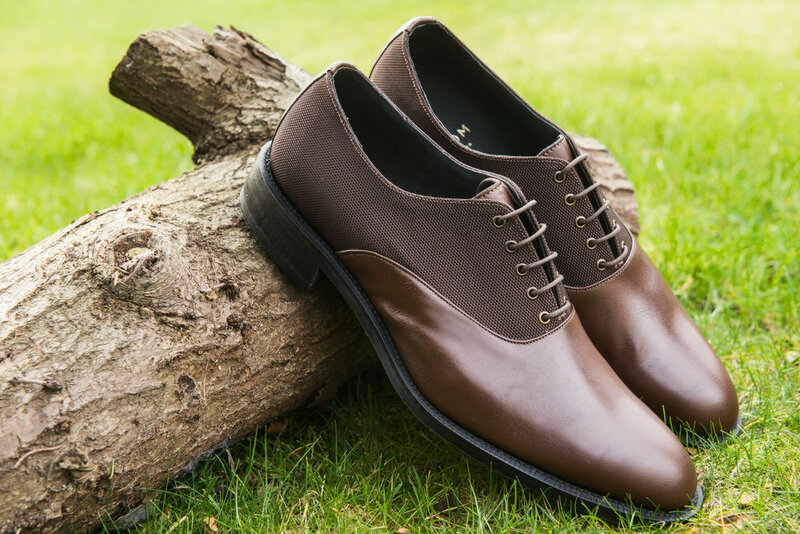 The Brown Oxfords have been very popular with the gents. Is Vyom London owned by, or in partnership with, another company that tests on animals or sells non-vegan products? Vyom London is owned by us two brothers and we only do business in the vegan market. Tell me a bit about yourself before you launched Vyom London. We are two brothers (Ravi and Vishaal), in a family where spirituality and music play a huge part of our lives. We are extremely close and have always wanted to make a difference in whatever we do. One of our aims involved starting a business. One that would positively shape the way people think and behave. We wanted to blend two passions i.e. fashion and making people feel good about themselves, as well as, living by the concept Ahimsa. We were on an East-to West coast road trip in the USA when we really started to think and develop this idea further. The open roads and sitting on the edge of the Grand Canyon, looking at the beauty of nature is what pushed us to create Vyom London. We are both currently working in full-time jobs, whilst working on this new vegan venture. It's been tough to dedicate the time required but we hope with the support of the good people who follow us and wear our shoes we will get there sooner than we imagine. What is your vision for the future of Vyom London? Our vision for the upcoming future is to bring out the next range of shoes, we are currently in the designing process and we hope to get them out in the market by the end of the year. Vyom London is offering a £50 voucher to the first person who places an order above that amount and checks out using the code Plant_Shift.